Bill Daniels established the Daniels Fund to operate in perpetuity as a permanent part of the communities we serve. Our assets — the source of our ability to provide grants and scholarships — were provided entirely by Bill. The annual return generated through careful investment of our assets creates our capacity for charitable giving while maintaining, or even growing, our asset base. Bill Daniels was a visionary business leader whose compassion for people, and unwavering ethics and integrity earned him respect throughout his life. He grew up during the Great Depression, served his nation as a decorated fighter pilot, and became a driving force in establishing the cable television industry. We are committed to honoring the direction Bill Daniels established for the Daniels Fund. Our grants and scholarship programs adhere to the geographic regions, funding areas, and charitable giving allocations that Bill defined, which will never change. We strive to reflect Bill’s ethics and values — compassion for others, entrepreneurial spirit, and commitment to excellence — every day in our responsibilities as caretakers of our founder’s legacy. Read more and view the list here. Click for current coverage information. 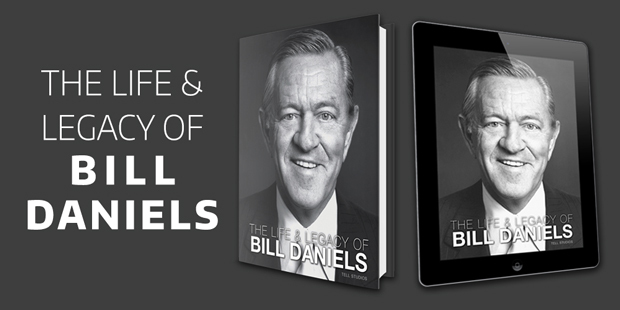 An electronic book detailing the life of Bill Daniels and the inspiration behind the foundation he created.